YOU ARE IN CONTROL. CREATE THE PRINT THAT WORKS FOR YOU. THEN FRAME IT. Until now, finding art for your home, office or as a gift, has always been a challenging experience. It’s hard to find what you like in the color or size that suits you. The added expense of framing that art can also be very costly. That was until now. Now, shopping for art is a pleasure because you are in control of the final product. 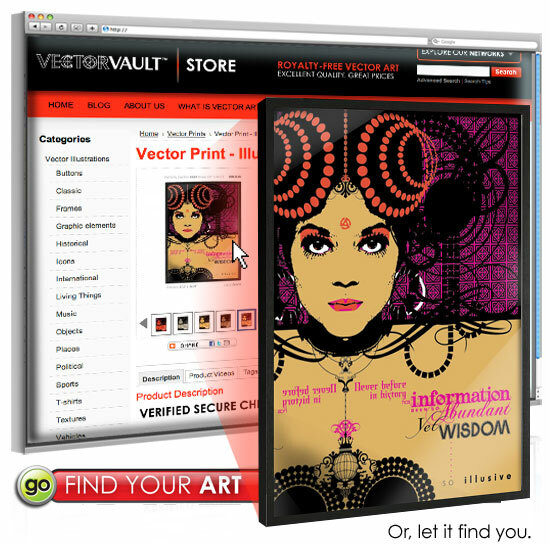 Our brand new line of vector art prints are designed to be flexible, scalable and beautiful. We have designed our product pages based on customer feedback and best practices to make your shopping experience a delight. Scroll through the image library. Zoom in on all the details of the design to help you make a choice. Watch animated videos and read about all of the details surrounding your selection. EXPLORE YOUR MOODS WITH MULTIPLE COLOR OPTIONS. EXPRESS YOURSELF! View your selection in several color themes. Pick the one that compliments the place where it will live. Experiment and explore the possibilities. SIZE DOES MATTER. SELECT THE RIGHT SIZE THAT WORKS FOR YOUR SPACE. 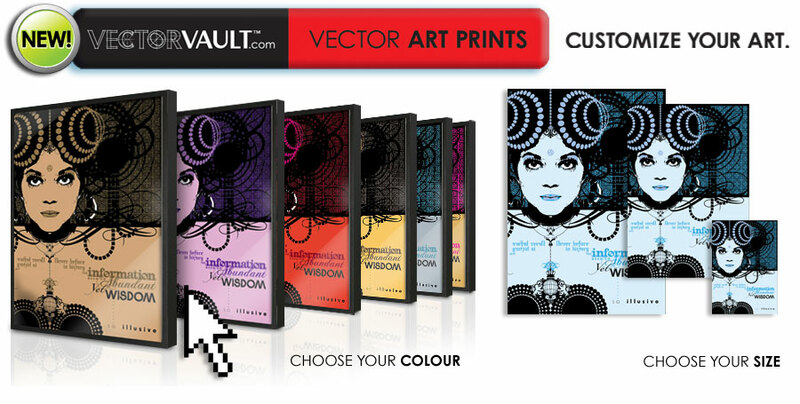 You have the choice to print your selection in many different sizes. Simply make your selection and your customized art print is on the way. WE DESIGN THE ART TO FIT THE FRAME. NOT THE OTHER WAY AROUND. *IKEA is an international retailer with thousands of locations around the world. So rather than make you search for the frames to fit your print, we made it easy by designing all of our prints to fit their frames. You save time and money and ultimately get what you want. Whether you shop online or plan to go down to your local IKEA retailer, you’l find a wide variety of frame finishes. From Birch to Beech to Black to Silver – pick the frame that not only compliments the art, but the color of your walls. You can go small and cluster several choices together, or you can select a frame that commands your attention. It’s up to you. Just know that IKEA offers a wide variety of frame sizes. Dimensions are in metric and Imperial. So pull out your tape measure and make a decision. YOU ARE IN CONTROL. SELECT THE OPTIONS TO GET THE ART THAT YOU WANT. FOLLOW THESE SIMPLE INSTRUCTIONS TO INSERT YOUR PRINT INTO AN IKEA FRAME. IT'S EASY. EXPLORE THESE PREMIER RELEASES - CUSTOMIZE YOUR OWN NOW! * We do not sell IKEA products on this site. We do however, admire IKEA frames for their quality and availability. That’s why we have matched their framing sizes to suit our art. Our hopes are that you will not only find the art that you like here, but also match it with one of IKEA’s fine frames. Follow the links on the product pages to find the exact fit for your selection.